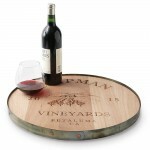 Personalized 18" Wine Barrel Lazy Susan (P/N 18WINELAZY). 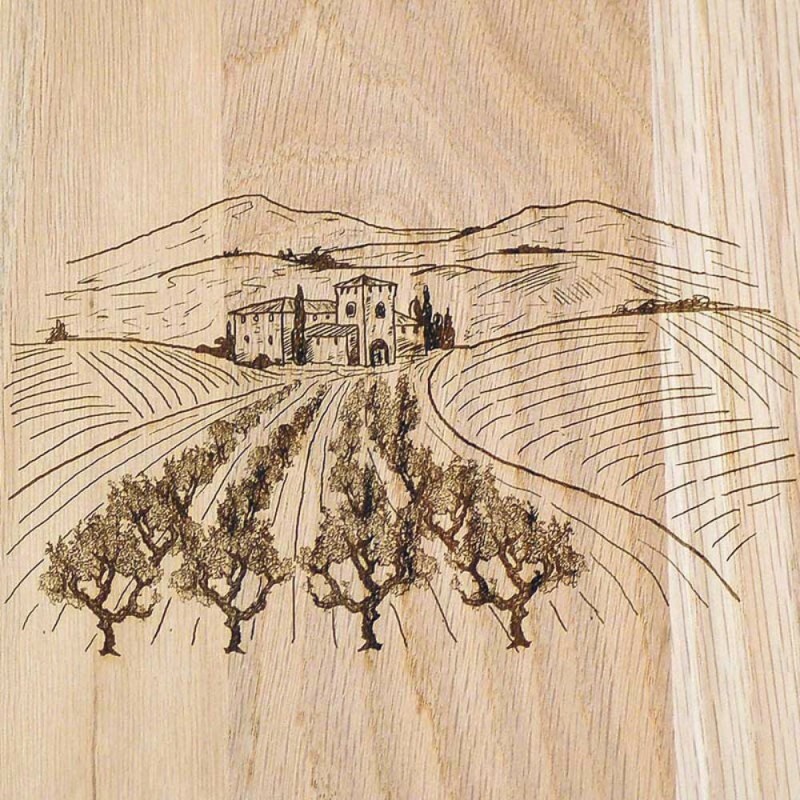 Our lazy susans are a stunning addition to any table or kitchen island, offering an elegant serving option for family and guests. 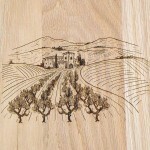 The oak wood is cut in the shape of a wine barrel and sealed with natural beeswax and mineral oils to ensure durability. The rustic iron outer rim adds heft and drama. 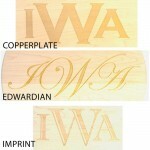 Personalization in your choice of fonts is included in the price. 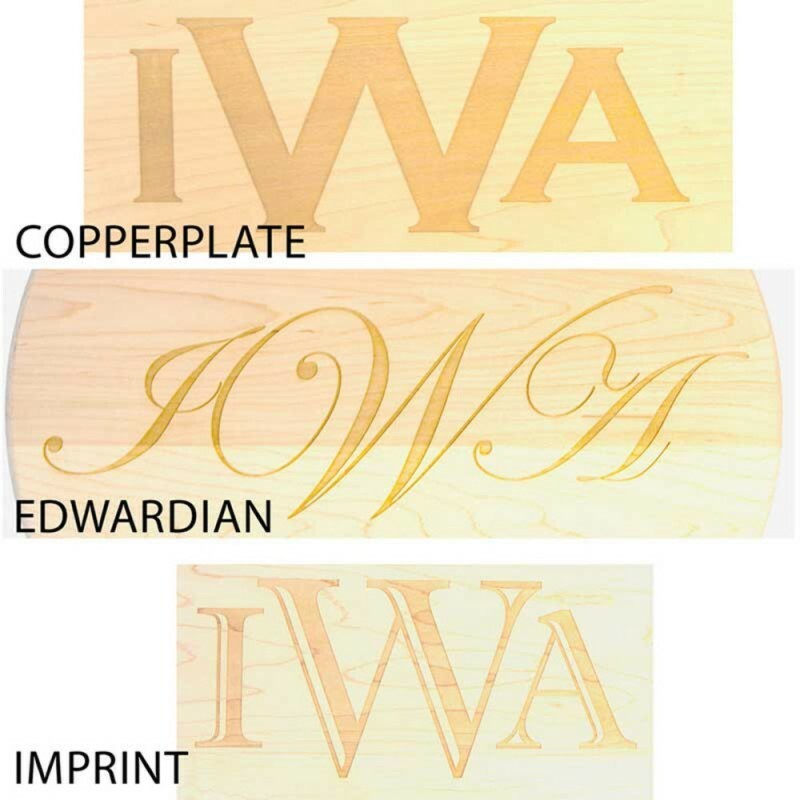 Select from 3 different fonts: Imprint, Edwardian, or Copperplate. This oak wood 18" server in the shape of a wine barrel features an outer iron rim and is personalized with the name of your choice for an elegant gift that will last for generations.